We have new information for owner of Motorola Droid Mini Verizon. 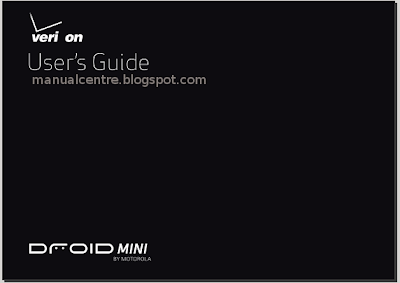 For this time, the manual for this smartphone is available for download. It comes in PDF format and support in english also spanish language. The Motorola Droid Mini has physical dimensions of 4.78 x 2.41 x 0.35 inches. It has 4.3 inches TFT capacitive touchscreen display with a resolution of 720 x 1280 pixels screen equipped with Corning Gorilla Glass protection. It's powered by Dual core, 1700 MHz processor with 400 MHz, quad-core graphics processor and Motorola X8 chipset. The phone runs on Android (4.2.2) platform and can upgarde to Kitkat 4.4. The Motorola DROID Mini also equipped with 10 megapixels camera and 2 MP front facing camera. There is 2048 MB RAM and 16 GB internal memory. The phone work on under CDMA, GSM, UMTS and FDD LTE network. Pros of this phone such as has big display screen, high resolution display, then lots of RAM, NFC and Fast mobile data support, also it has Small dimensions. 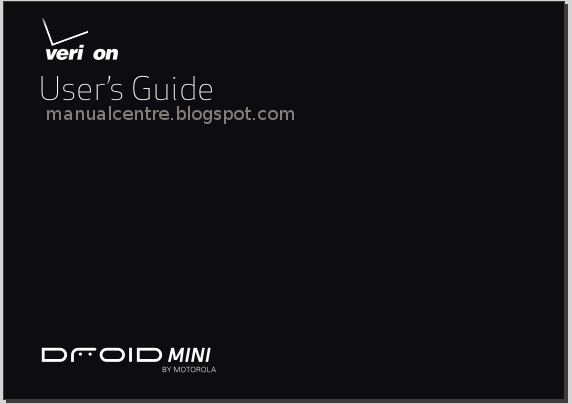 The Motorola DROID Mini user manual consist of 74 pages with file size of 5.9 MB. The manual provides detail reference information such as phone layout, Assemble & charge battery, Take Care of your apps, update phone, using contacts and calls, using camera and record video, using browser for access the internet, using play books and magazine, using Google maps, Google drice, quick office, using bluetooth and Wi-fi, droid Zap, VPN settings, backup and restore, reset guide, safety and troubleshooting problem.